The Australian dollar saw some reprieve from markets today as the USD saw some selling-off. This flew in the face of economic data on the surface though which showed that the Australian economy is under pressure at present as employment was negative at -3k for the previous month. On top of this, the participation rate shrank to 65.5% (65.7% prev), which is normally a negative. However, the silver lining is that despite the fall in job numbers this was caused by a decrease in part-time work, the reality is that more full time positions are being created in the labour market. So it’s a bonus for the Australian economy and so far it has been viewed favourably despite the numbers that were put out. In the long term though for wage growth to really move higher it’s expected that employment figures will still need to fall below the 5% threshold, at which point the job market should tighten significantly. 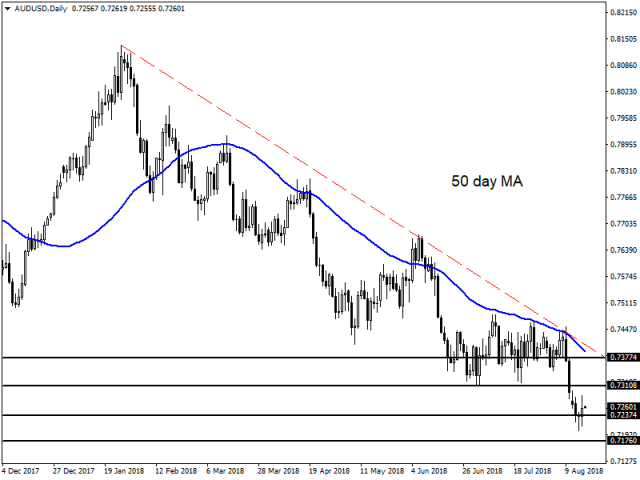 For the AUDUSD this is a welcome reprieve on the markets, and it has given the bulls some renewal of hope that they can gain some further ground higher. Support at present can be found at 0.7237, but given the bearish nature of the market I would expect to see some retesting of this level in the coming days and weeks. If the bulls are able to maintain control from their current position then resistance at 0.7310 and 0.7377 is likely to be the key targets that will be a major focus. It’s also worth noting the 50 day moving average which continues to be acting as dynamic resistance on the daily chart, and traders will be watching it with a close attention span. All in all I still feel that the AUDUSD is bearish, but if the USD strength slacks off we could see the bulls look to take back some ground. The other key mover has been of course the S&P 500 which struggled recently but has surged back after finding support at 2819. This has been spurred on by US jobless claims which came in slightly down at 212K, as the labour market continues to improve. The market is expecting a strong year from large corporates given the turnaround in the economy and Trump tax breaks for them, so for now the bulls are certainly taking control. 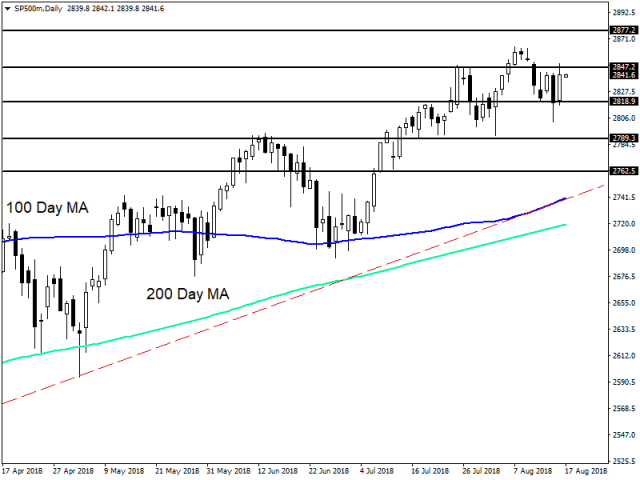 Looking at the S&P 500 on the chart we can see resistance at 2847 continues to hold back strong movements thus far, but the main level the market will be targeting is 2877, which continues to be the top of the market. In the event we do see some falls then 2789 and 2762 are likely to be key levels of support for the market to focus on.